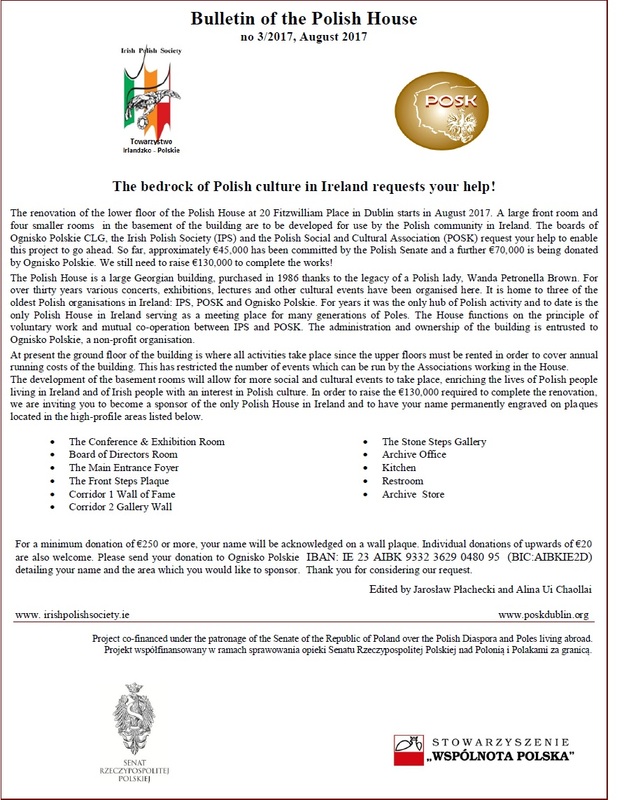 The Irish Polish Society is the main organization in Ireland for Polish people who want to learn about Ireland and Irish people who are interested in Poland. It has been in existence since 1979. 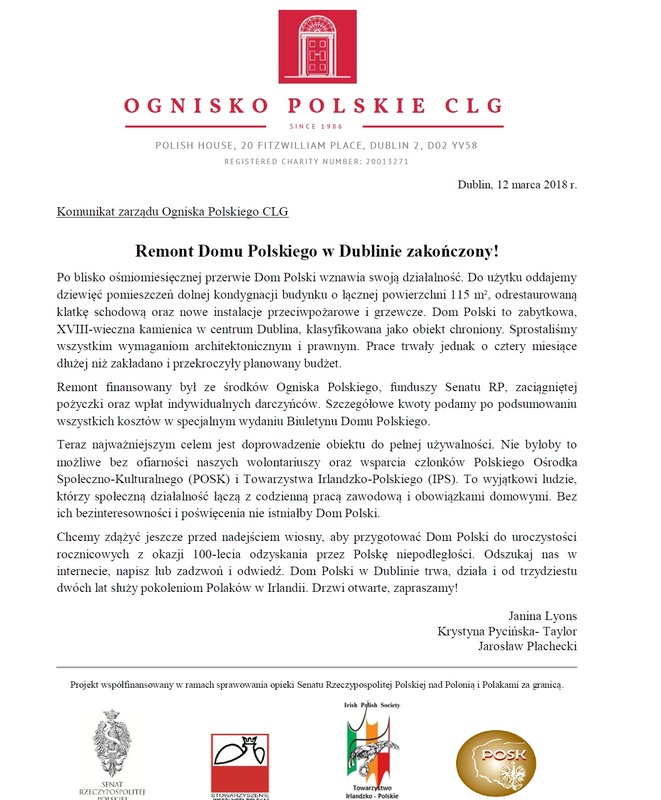 The IPS is an active organization that promotes contacts and exchanges between Irish and Polish people. Our activities include musical evenings, poetry and literature readings, film shows, talks by local and visiting high profile lecturers and social meetings. 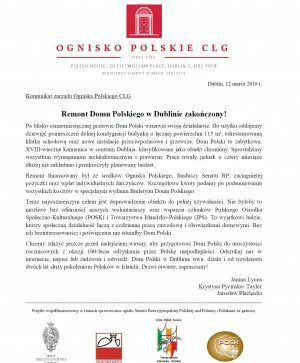 We provide advice to Poles in Ireland and host lectures on integration issues. We also celebrate the main cultural and religious festivals of each country. 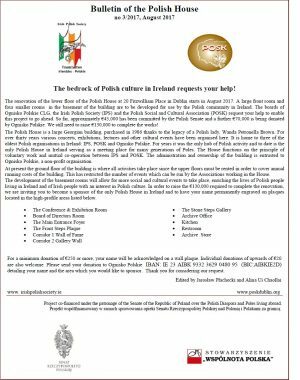 Our committee is made up of Irish and Polish people who work together to promote the best from each country and culture. 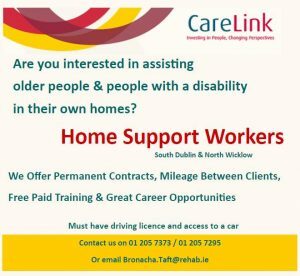 We seek new members who will help to provide new services in a changing environment. We invite to join us by filling in the application form on the reverse side. Our meeting place is 20 Fitzwilliam Place, Dublin 2. I am the administrator of The Mendicity Institution. 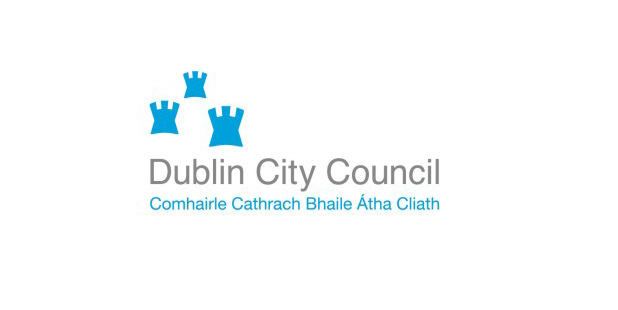 We have been working with the poor in Dublin since 1818, funded by private charity. We provide meals seven days a week – ‘ no charge and no questions asked’. Approximately 25 Poles use our services on a regular basis. They are generally unemployed, living rough or in hostels and have a lot of time on their hands. 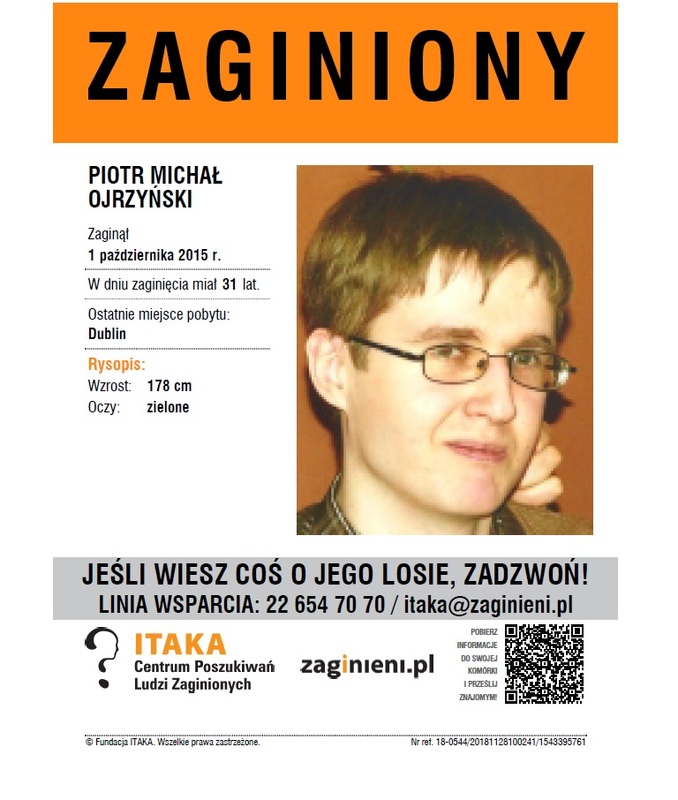 We would like to provide reading material in polish, if anynoe would lijke to donate please contact me. I am looking for Polish language books for children aged 8-12 years of age who are trying to learn a few basic words in Polish. All I can find are travel phrase books which are too advanced or dictionaries. Books shops for schools do not supply any Polish language workbooks! I have enquired for a few years now. Can you advise please?